American Airlines is offering 15,000 bonus AAdvantage Miles when you fly to Hong Kong on oneworld partner Cathay Pacific in first class. Fly business class and qualify for 10,000 bonus miles. A first class fare from Dallas to Hong Kong is $18,382.20 in November (American Airlines to LAX, Cathay Pacific to Hong Kong). The trip itself would earn 16,990 round-trip miles, plus a first class 50% bonus of 8,496 miles. So, total miles earned, including bonus, is 40,486, or about 45 cents per mile (which you can improve by using an Citibank AAdvantage card or qualifying for an AAdvantage elite bonus). 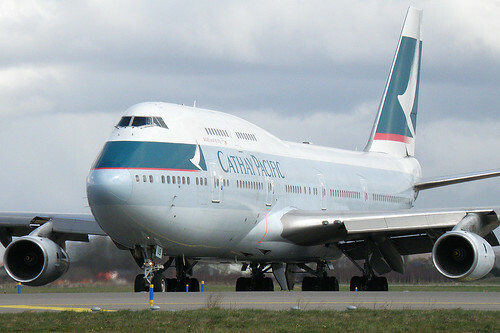 Between October 15, 2010 and November 30, 2010 (dates inclusive), fly Cathay Pacific round-trip from Los Angeles, New York, San Francisco, or Vancouver to Hong Kong on a qualifying First Class ticket and earn 15,000 bonus miles. Or, fly in a qualifying Business Class ticket and earn 10,000 bonus miles. There is no limit to the number of bonuses you can earn during the promotion period and the bonus miles are in addition to your standard base miles and class of service bonus. You have to register before you travel. Go here to sign up for the promotion using promotion code CXF10 or visit their site for more details and to read the terms and conditions.